If your upholstered furniture is starting to loose its colours and charm, it probably needs professional cares. 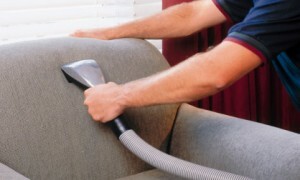 To have your upholstery cleaning, done by real proficient and masterful cleaners, use our services. They are one of the best in London, where we are located. There are a number of benefits, you can take advantage of, if you choose to hire our company. Some of them are the fast and effective services. We also use the most caring method to extract dirt and marks from your upholstery – hot water extraction. You can have your favourite sofas and armchairs in their genuine appearance and condition, only if you order our services. They are the best solution for your upholstery cleaning problems. Have you furniture in its excellent cleanness, ordering our services. Our cleaning machines and devices are specially design for furniture. We use unique solvents, which can remove every mark on your upholstery, whether it be from wine, coffee, chocolate, other drinks or food. The steam machines we have will revive your armchairs and sofas and they will get rid of every grit, soil and dust, tucked deep inside their fabric. If you have a pet animal, it is probably very difficult for you to maintain the cleanness in your house. But with our help you can successfully restore your furniture, removing every stain from paws from it. Using our cleaners, you save yourself all the worries and efforts, you would throw in your attempts to refresh your expensive furnishings. If you invest in restoration of your old sofas and armchairs, you won’t need to replace them soon with new ones. This way we save you money.